When booking an appointment, a credit card will be needed to hold your spa reservation. Visa & MasterCard are accepted. Please note if there are any cancellations made with less than 48 hours notice, there will be a charge for the full service. 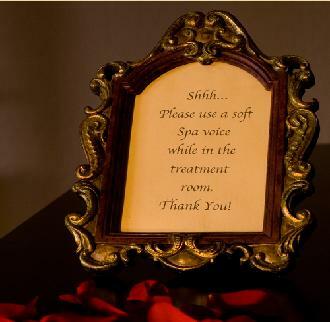 To ensure the tranquility of our guests, please use your spa voices at all times. Children are welcome at Radiance Sanctuary by appointment only. A peaceful environment is essential at Radiance Sanctuary. We ask that all phones and pagers are turned off before you walk into our sanctuary.